Our product range includes a wide range of elliptical metal halide lamps, double ended metal halide lamps and metal halide lamps. 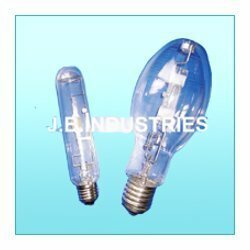 Our vast industry experience of manufacturing, supplying, and exporting high technology lighting solutions including Metal Halide Lamps has enabled us to offer Elliptical Metal Halide Lamps to our valued clients. These are highly acclaimed for versatile applications in commercial as well as industrial lighting in interiors and are manufactured by using high end technologies. Our clients can avail these in standard as well as customized specifications of wattage, lumens, voltage, and so forth. 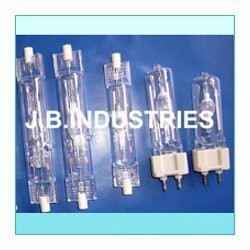 We provide our clients with highly efficient Double Ended Metal Halide Lamps which are made using best quality raw material. These lamps are durable, defect free, heat resistant and shock resistant. Looking for Metal Halide Lamps ?